hello loves! hope you all had a wonderful weekend. I can't believe we are in the month of August. SERIOUSLY where did the time go?! BUT Sept-Dec is MY favorite time of the month so I can't say I am not excited about the upcoming months and holidays! So todays a good day because I am so excited to introduce you to someone who has brightened my life. You may already know her blog from my special Tory Burch edition of #TheMessyProject but now you get to meet the girl behind A Cup of Ting. Hey Friends! I’m TING ♥ I play house for a living ♥ mom of 2 boys, chef, fashionista, traveller, foodie, laugher, photographer + friend ♥ fat kid at heart! Lover of stripes + navy blue! made in Taiwan. Cali Girl! At Cup Of Ting, I give you a sip of the joys in my life…Fashion, Food + Fun! I wanted you all to see Ting's fabulous style so I took a few of my favorite outfits of hers to show you....how freaking aaaamazing does she look in the yellow dress?!?! 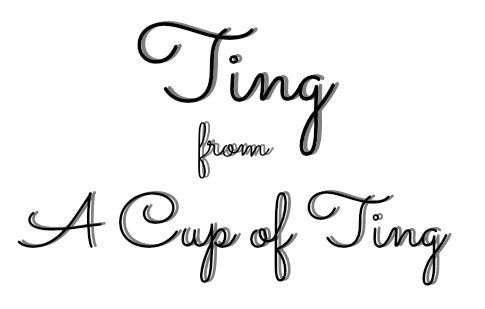 I started Cup Of Ting as a way to stay connected to loved ones when my family + I decided to pack up, leave behind our cushy life in Seattle + embark on an Adventure-filled year in New Zealand! It quickly became so much more + now thousands of people enjoy a Cup with me every month. 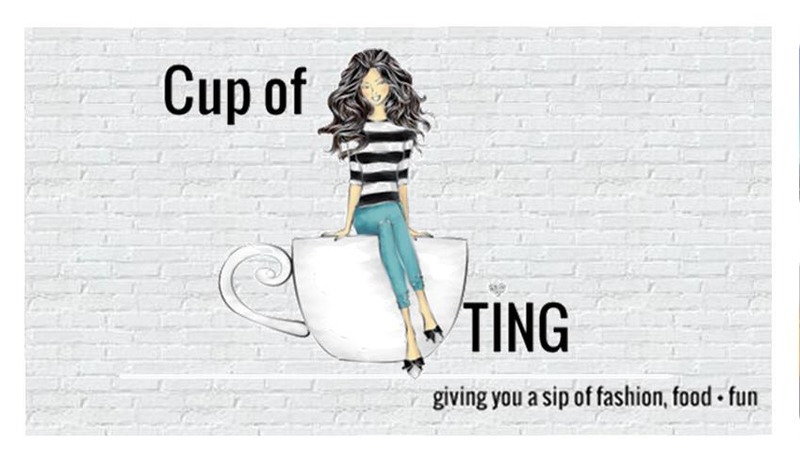 But Cup Of Ting is about SO much more than just Fashion + Food, though I love both!! Cup Of Ting is actually about 1 thing: JUST FRICKIN GOING FOR IT!!! Look at me Just Going For It…Crazy!! Move to New Zealand...Just Go For It!! Skydiving…Just Go For It!! White water rafting, goofy mustache photo, amateur modeling, learning to surf, showing off your femininity, getting grungy in the dirt, learning to cook...Whatever will make your life GREAT….Just Go For It! Fashion: something a little crazy, thought you couldn't pull it off...Just Go For It! 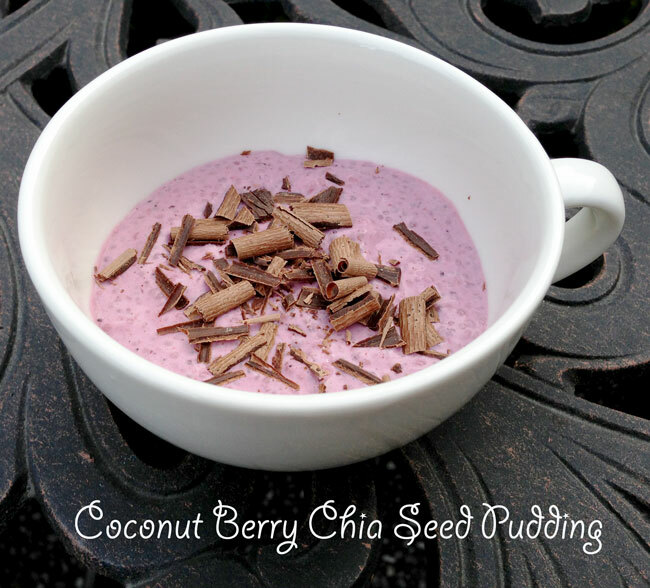 Food: didn't know how to make it, thought healthy couldn't be tasty...Just Go For It! Fun: Always wanted to, scared to try but tired of boring + mundane...Just Go For It! Life is too short to be boring + sad. 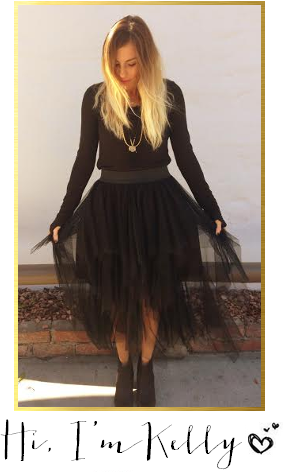 Love yourself because you’re worth it + start living the life you’ve always dreamed of…one fun + creative day at a time! ALSO get 50% off ANY Messy Ad Using Promo Code - MESSY50 - TODAY ONLY! Check out Sponsorship Options HERE & join the mess! I love the fall months too. Still can't believe it's already August though. 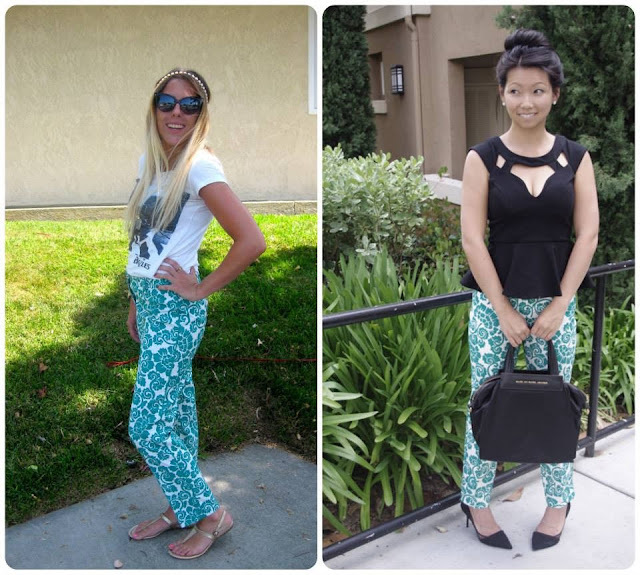 those pants would look insane on me...but you can rock them! I agree, crazy how it is already August! Love this whole outlook on life and now that I'm expecting I'm living it! Her baby is soooo cute. And she's gorgeous! Going to text you cuz i miss you!